​The Keats-Shelley Memorial Association is pleased to announce the shortlists for 2019’s Keats-Shelley Prize, which marks the publication 200 years ago of the first two cantos of Lord Byron’s satirical masterpiece, Don Juan. The Essays were judged by Professors Sharon Ruston and Simon Bainbridge, both of Lancaster University. The Poetry Judges are Professor Deryn Rees-Jones of Liverpool University and Will Kemp, a former winner of the Keats-Shelley Poetry Prize. Both shortlists are now in the hands of this year’s Chair of Judges, Professor Michael Rosen. Professor Rosen will announce the Winners will be announced on 29th April at our annual Awards Ceremony in London. the dark unentered spaces we each contain undone at the springs. blind within their soily sockets of dark. watching his darkened soles turn into sunlight. we traveled awhile, mother left us. Our legs on high alert. wrote back endless letters as my mouth got more stitches. They called me once, twice. Stopped. I died near a brook. let me tell you how it all happened, how once we turned unholy. their trail: Laika, in. Laika, lay. Good girl, Laika. Wait. Stay. Laika: 1957 Soviet space dog, one of the first animals in space and the first to orbit Earth, she died from overheating. Laika’s craft, Sputnik 2, and her remains, disintegrated on re-entering Earth’s atmosphere. the little church encircled by bridal flowers, wreaths. turn and sigh in their stalls. 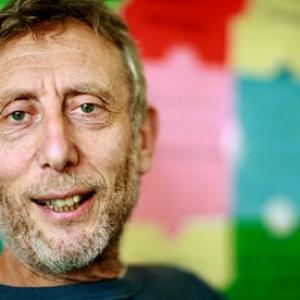 Michael Rosen is one of Britain’s best loved writers and performance poets for children and adults. His first degree was from Wadham College, Oxford and he went on to study for an MA and a PhD. He is currently Professor of Children’s Literature at Goldsmiths, University of London where he co-devised and teaches an MA in Children’s Literature. Michael is also a popular broadcaster and has presented BBC Radio 4’s acclaimed programme about language, “Word of Mouth” since 1998, as well as regularly presenting documentary programmes for BBC Radio 4 and BBC Radio 3, including the Sony Gold Award-winning “On Saying Goodbye”. Michael has published in the region of 200 books for children and adults, including “The Sad Book” with Quentin Blake (Walker Books), “We’re Going on a Bear Hunt” with Helen Oxenbury (Walker Books) - made into an animated film for Channel 4 broadcast Christmas Day 2016 - and “A Great Big Cuddle” with Chris Riddell (Walker Books). His poetry for adults includes “Don’t Mention the Children” (Smokestack) and “Selected Poems” (Penguin). Non-fiction work for adults includes “Good Ideas: How to Be Your Child’s (and Your Own) Best Teacher” (John Murray), “The Disappearance of Emile Zola, Love, Literature and the Dreyfus Case” (Faber), and his memoir “So They Call You Pisher!” (Verso). Michael writes a monthly open “letter” to the Secretary of State for Education in The Guardian where he critiques Government policy on schools from the standpoint of a parent. He visits schools, teachers’ conferences and university teacher training departments where he is in demand to give performances, workshops and keynote addresses. He also appears regularly at literary festivals all over the UK and Ireland.Michael has received several honorary awards, including degrees from the Open University, the University of Exeter, the University of London Institute of Education and the University of East London/Tavistock and Portman NHS Trust. For outstanding contribution to children’s literature he received the Eleanor Farjeon Award and was Children’s Laureate 2007-2009. In recognition of his contribution to the profile of French culture in the UK, he was made Chevalier de l’Ordre des Arts et des Lettres. Michael’s Youtube channel – “Kids’ Poems and Stories with Michael Rosen” has been viewed over 45 miilion times around the world. She won an Eric Gregory award in 1993 and ‘The Memory Tray’ (Seren, 1995) was shortlisted for the Forward Prize for Best First Collection. 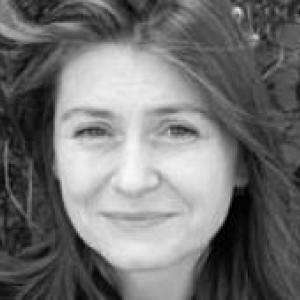 Her other works are ‘Signs Round a Dead Body’ (Seren, 1998), ‘Quiver’ (Seren, 2004), and a groundbreaking critical study of twentieth-century women’s poetry, ‘Consorting with Angels’ (Bloodaxe, 2005), which was published alongside her accompanying anthology ‘Modern Women Poets’ (Bloodaxe, 2005). Deryn’s selected poems, ‘What It’s Like to Be Alive’, was published in 2016 and is a Poetry Book Society Special Commendation. In 2004 Deryn was named as one of Mslexia’s ‘top ten’ women poets of the decade, as well as being chosen as one of the Poetry Book Society’s Next Generation poets. In 2010 she received a Cholmondeley Award from the Society of Authors. ‘Burying the Wren’ was published in 2012; it was a Poetry Book Society Recommendation, and shortlisted for the TS Eliot Prize and a Times Literary Supplement book of the year. A regular collaborator with contemporary artists, her most recent work is ‘And You, Helen’ (Seren, 2014), a book and animated poem made with the artist Charlotte Hodes about the wife and widow of the poet Edward Thomas. She recently won a prestigious Leverhulme Research Fellowship. Her current projects include working on a book about the literary narratives which inform the pictures of the artist Paula Rego, which is forthcoming from Thames and Hudson. Other smaller projects include essays on the uses of repetition in the poetry of Elizabeth Bishop, on poemfilms, and end-of-life writing. 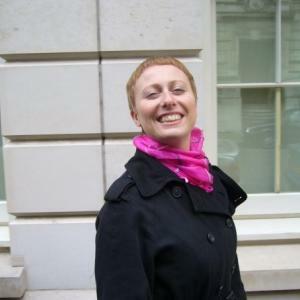 She is the editor of the new Pavilion Poetry series, for Liverpool University Press. She also co-directs the University of Liverpool’s Centre for New andInternational Writing (www.liv.ac.uk/new-and-international-writing/). Deryn has considerable experience as a poetry judge, including the National Poetry Competition, the T.S. Eliot Prize, the Costa Prize (Poetry) and every two years chair the judging panel for the English Association’s Michael Murphy Poetry Prize for a best first collection of poetry. Her profile page at the University of Liverpool is here. Will Kemp has won the Keats-Shelley Prize (2016), the Cinnamon Pamphlet Competition (2014), the Debut Collection Award (2010), the Envoi International (2010) and the Cinnamon Short Story Award (2015). He has also been runner-up in the Keats-Shelley Prize (2013) and the Poetry Society’s Stanza Competition (2011), and highly commended in other competitions, including the Bridport and the Plough. Will regards a commendation in the Keats-Shelley Prize 2006 as the turning point in his writing career since it spurred him on during a time of self-doubt. Cinnamon Press has published his collections to date, Nocturnes (2011), Lowland (2013) and The Painters Who Studied Clouds (2016), as well as his award-winning pamphlet, The Missing Girl (2015). His poems have been published in various journals, including: Ambit, Envoi, The Guardian, The Interpreter’s House, Iota, Magma, The North, Obsessed with Pipework, Orbis, Other Poetry, Poetry News, Poetry Scotland, The Rialto, The Times and Smith’s Knoll. 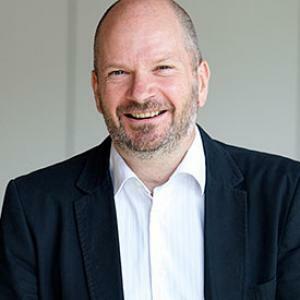 Will takes over as Poetry Judge from Matthew Sweeney, who died in August 2018. To read our own appreciation of Matthew, please visit News. Poems should be no more than 30 lines in length and and must fit onto a single A4 page. Entries must be original works. Plagiarism will not be accepted. The poem must not have been published previously, either in print or online or in any other media, nor previously submitted to us. You can enter up to 2 poems. and accessible style. All sources must be acknowledged. accepted. They must not have been published previously, either in print or online or in any other media, nor previously submitted to us. You can enter up to 2 essays. Deadline for entries 14th January 2019. Entries may be submitted from any part of the world, but must be in English. Poems and essays are sent to the judges anonymously so please do not put your name on your actual entry. They must be in Microsoft Word format and accompanied by acompleted and signed Entry Form. You can enter in two ways. 2. Or submit you entry via the website. Click the button below. Ensure you fill in every part of the form. And please TICK THE COPYRIGHT BOX before submitting.